Something that amazed me when I first came to Burgundy back in 2010 was how small the region was compared to how important it was, particularly in comparison to Bordeaux which is as big as it is important. The Cote d’Or stretches for about 40 kilometres from North-East to South-West, and is as narrow as 500 metres wide in such places as Premeaux-Prissey. The amount of wine that is produced can’t be that much considering the yields of only a few tonnes per hectare, and yet you can find Burgundy all around the world. Despite the relatively small size of the region there are a lot of differences between each part, particularly between the Cote des Nuits and the Cote de Beaune. The Cote de Beaunes starts in Aloxe-Corton, stretches north of the town of Beaune (the heart of the Cote d’Or) and continues past it all the way to just past Chassagne-Montrachet. I was always confused by the claim that the red wines of the Cote des Nuits were more feminine than their counterparts further south, whereas I (and several of my fellow students at university) felt the opposite was true. Pinot noir from the Cote de Beaune is first and foremost lighter, more pure and fresh, shows the minerality better and most importantly is more approachable sooner. I much prefer the red wines of the Cote de Beaune for all of these reasons, but it is also the chardonnay wines that distinguish this part of Burgundy as supreme, with the Montrachet Grand Cru parcels producing arguably the best white wines in the world. I was thrilled to visit three producers today that all exemplify the style of the Cote des Beaune yet have their own unique expression of it. I have been fortunate enough on my trip to meet some truly amazing individuals who are so naturally gifted at wine-making they are effectively prodigies, establishing reputations for themselves before they have even reached their prime. I had already heard great things about Benjamin Leroux back at home as his fantastic importer Bibendum had insisted I stock his wines, and I trusted them again without tasting them. I was surprised firstly by the fact that the prices were really good for wines that were apparently so good, but also by the fact that the wines on offer were not from particularly famous appelations, coming from Volnay and Savigny-les-Beaune. What I could only assume was that as is so often the case the quality of the fruit and winemaking transcended the classification of the appelations and that these were exceptional wines from under-appreciated parts of the Cote. One thing I didn’t need convincing on was the value of the Cote des Beaune compared to their neighbours. Benjamin was one of the people I was most intrigued to meet on my whole trip so I was thrilled to have the opportunity to meet him. Unfortunately we lost a bit of time as the normally super-organised Benjamin put our appointment in the wrong week of his planner, but it mattered little. 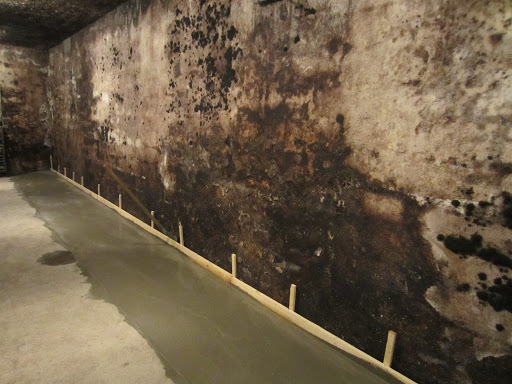 His winery is currently under renovation as he has just recently bought it after a period of lease, and after a quick look we descended into the cellars he shares with some colleagues. Benjamin has made a name for himself working for Domaine Comte Armand since he was appointed the winemaker at the age of 26, and he continues to improve the quality and reputation there whilst having his own domaine, which undoubtedly keeps him very busy during vintage. Very intelligently he has started small in his own endeavour, which also has something to do with the fact that it is difficult to establish contracts with growers and even more difficult (and expensive) to buy vineyards. Whilst he has started to purchase vineyards most of the fruit for Benjamin’s wine comes from growers he trusts and works closely with to ensure that the best is being produced from the soils and vines. The growers he works with are very sustainably motivated using organic and/or bio-dynamic practices for health and quality reasons. 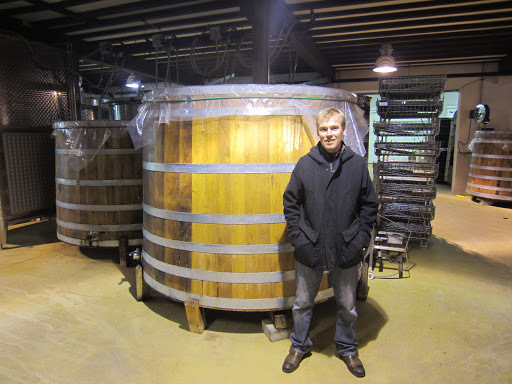 Currently he is working in at least 20 appelations but generally in minuscule quantities, in some cases only producing three barrels (900 bottles). Working with tiny parcels across many appelations is no doubt exhausting logistically. Benjamin has total respect for the terroir and handles the wines very gently to ensure the purest expression of terroir and vintage, and yet there is intensity and a certain vivre to the wines that is rare. Moving forward he plans to buy vineyards when he can, but for the moment this is complicated in terms of finances but also the fact that with 80-90% of the work being in the vineyards he can’t do it all himself. Similar to Patrick Piuze in Chablis, Benjamin doesn’t come from a wine family despite coming from Beaune, but perhaps it was his desire to work in wine that drove him and continues to drive him into the future. 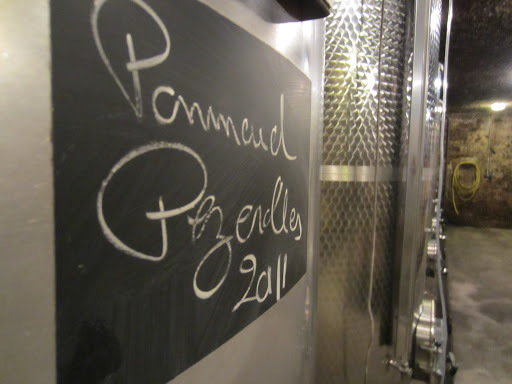 Click here to read my notes from the tasting of 2011 wines. 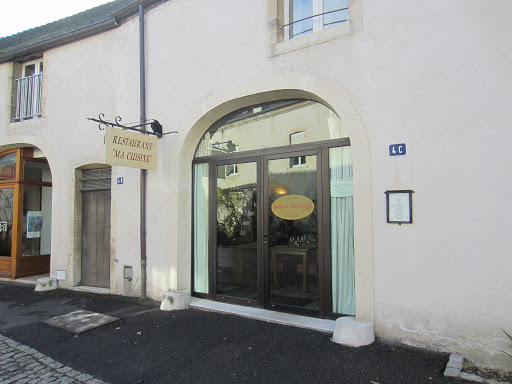 One of the biggest highlights of my time in Burgundy was getting to have lunch at Ma Cuisine in Beaune, which I wanted to visit back in 2010 but as it was summer was completely full. It had been recommended by the Michelin guide I had at the time, and then after I came home I saw a number of people mention it on Twitter and knew I had to go. It was a pretty amazing experience, improved even more by the glass of Vincent Dancer Bourgogne Rouge 2009 with perfect balance and the décor which was countless bottles of Romanee-Conti around the walls. After this I headed into the Cote to visit a producer entrenched in Meursault not far out of Beaune. This producer is Domaine Ballot-Millot which is yet another that has been handed down split and consolidated over generations to create the estate it is today. As is so often the case in places like Burgundy, driving around the village I saw a number of domaines with similar names, but in this case it was the combination of the Meursault Millot and Chassagne Ballot that allowed them to today have about 10 hectares across five areas of the Cote de Beaune including Pommard, Volnay and Beaune. I met with Charles Ballot who is the 15th generation to work in wine here, who returned in 2000 to take over from his semi-retiring father Phillipe. When I say return, I mean he studied in Beaune and Dijon and then worked vintages I California and New Zealand gaining experience not only in wine but also in living in the middle of nowhere (more so New Zealand). The experience he gained really opened his eyes to different philosophies and practices of the new world unrestricted by appelation law, and he brought a certain energy with him when he returned. Over the last ten years there has been extensive changes made in the vineyards to improve quality, namely by using organic principles such as eliminating chemicals and plowing of the soils to open them up. Heavy pruning is performed to reduce yield and increase concentration of the berries, and the hand-harvesting includes a very careful selection. Currently the cellars are being re-organised so that he can separate the red and white barrels and improve the storage of bottles in the cellars. The wines are made as naturally as possible, with very gentle remontage during the fermentation of the reds, no filtration or fining of the whites, natural spontaneous fermentations of red and white wines and little to no battonage of the chardonnay in barrel. Limited new oak is used with the origin of the fruit and the vintage conditions determining the levels. The goal is of course to capture the specific characteristics of the terroir, particularly expressing the minerality and freshness of this part of the Cote d’Or. Click here to read my tasting notes. My last appointment for the day was a little further away in Chassagne-Montrachet and it was at Domaine Marc Morey & fils. Despite the name the estate is actually run by Marc’s granddaughter Sabine who inherited it through her mother Marie-Josephe. The estate was founded back in 1919 by Marc’s father Fernand who set up the domaine in what was his mothers restaurant and inn where it remains to this day. Sabine was kind enough to meet with me but was keen to point out she spoke little to no English, but I assured her my French was good enough, which thankfully it is now. Most of the information I was able to understand with a little additional coming from their website (also only in French). The estate owns nine hectares of vineyards mostly in Chassagne-Montrachet with a little coming from Saint-Aubin and Bourgogne Village for a tiny amount of aligote. 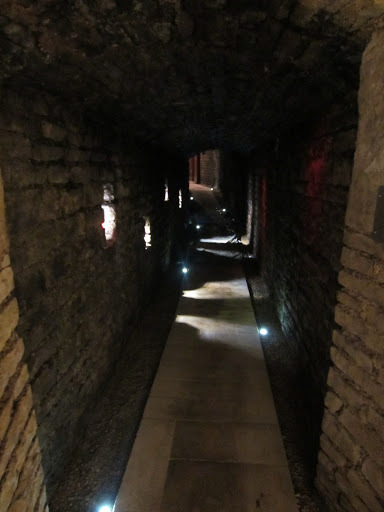 Their cellars are very charming and they have recently been renovating to have an area for visitors to taste. The viticulture and vinification is essentially the same as most others, but with minimal intervention in the winemaking (gentle pressing, limited battonage, limited new oak, limited maceration on skins) it is essentially a question of ripeness and yield of fruit and the subsequent expression of terroir and vintage. Thankfully the Morey wines are all exceptional, particularly those coming from the En Virondot Premier Cru vineyard. Click here to read my tasting notes. 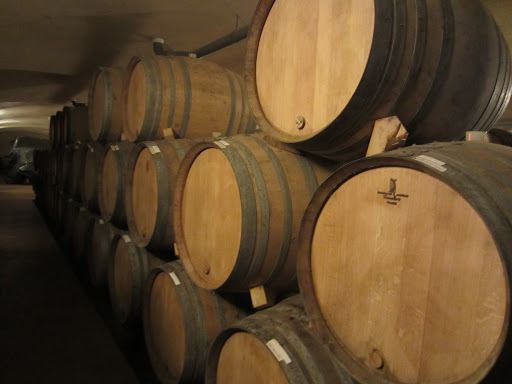 Click here to see more photos from my first day in the Cote de Beaune. "Ma Cuisine, one of the best dining experiences of my trip": Apart the one at Chiara & Gianni's! risotto alla milanese. Ciao James you are great.